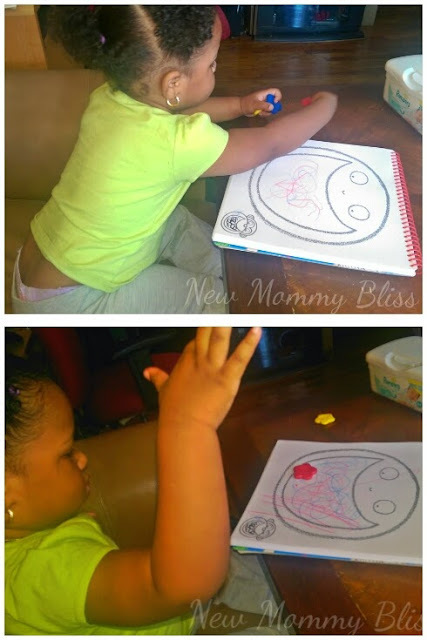 As you may remember from my last Toddler Art Post, We are an art loving family! 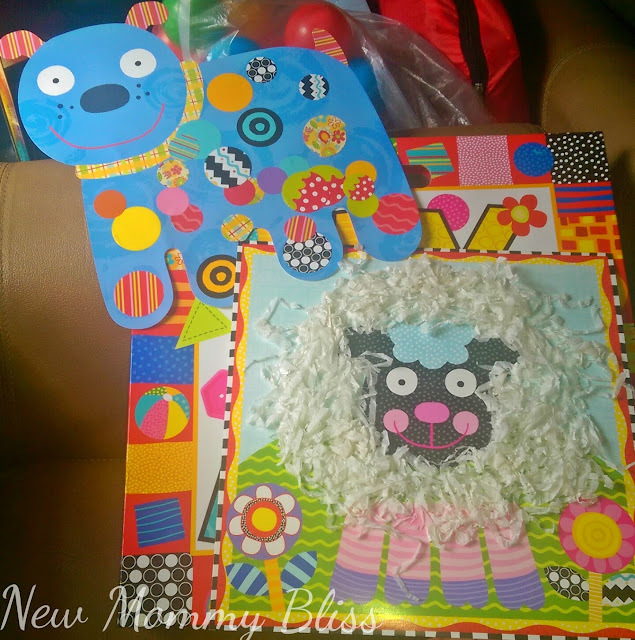 ALEX Toys never disappoint when it comes to fun, hands-on crafts for my tot. I was super excited when my favorite ALEX Brand Rep agreed to send over 3 of the most awesome Toddler Art products they have! The Tots Art Gallery, Tots Art Start, and My First Scribble book. It was a wintery day and my diva had a bad cold. Going outdoors was not an option but having nothing to do would've turned the day into complete chaos. 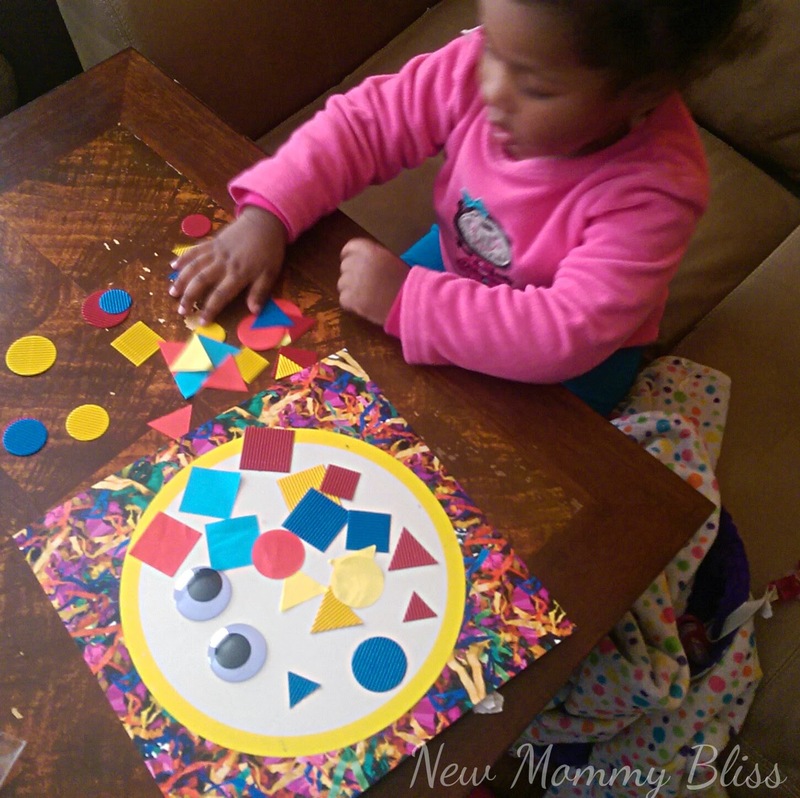 We opened up the ALEX Jr. Tots Art Start box first and worked on fine motor skills! We had lots of cute stickers and it was fun watching gabby figure out a way to position the sticker on her fingers so that she can transfer it on the Cute Giraffe and tree shaped papers. they look to be made out of heavy card stock so it was easy to peel off a sticker and fix it if it was to close to the edge. 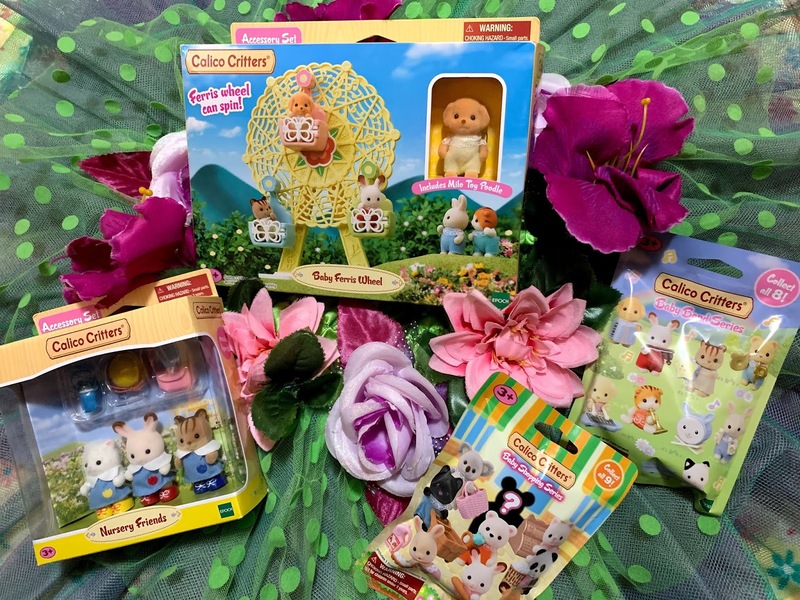 This kit brings 6 different art activities for you and your child to explore including these and sticky collage frames! 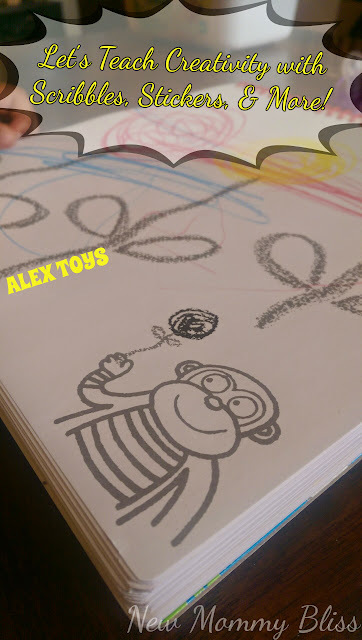 After about 20 minutes, we decided to move on to the fun and very entertaining My First Scribbles book. 50 adorable pages for scribbling and 70 stickers for your child to add to their scribble drawings! 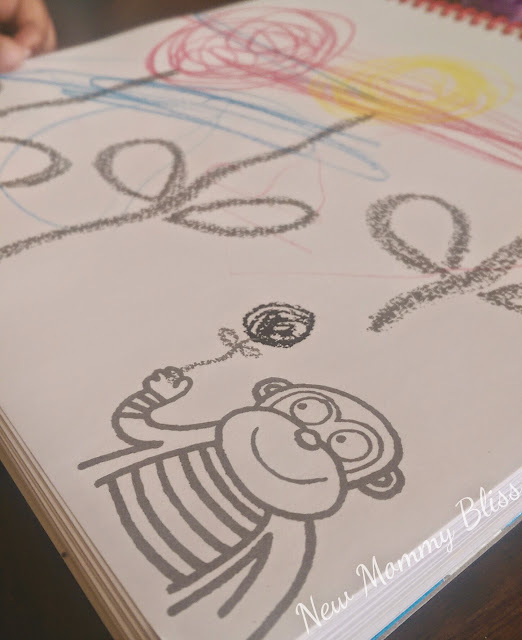 We used the adorable Easy Grip crayons that come included in the Tots Art Start and Tots Art Gallery to scribble on our pages. We filled the mouth with Scribble "Spaghetti", made Scribble "Meat" for the burger, we even made Scribble Roses. I truly adore the little monkey at the corner of each page that shows you what the scribble activity is for that specific page. Last, but certainly not least is the Tots Art Gallery! 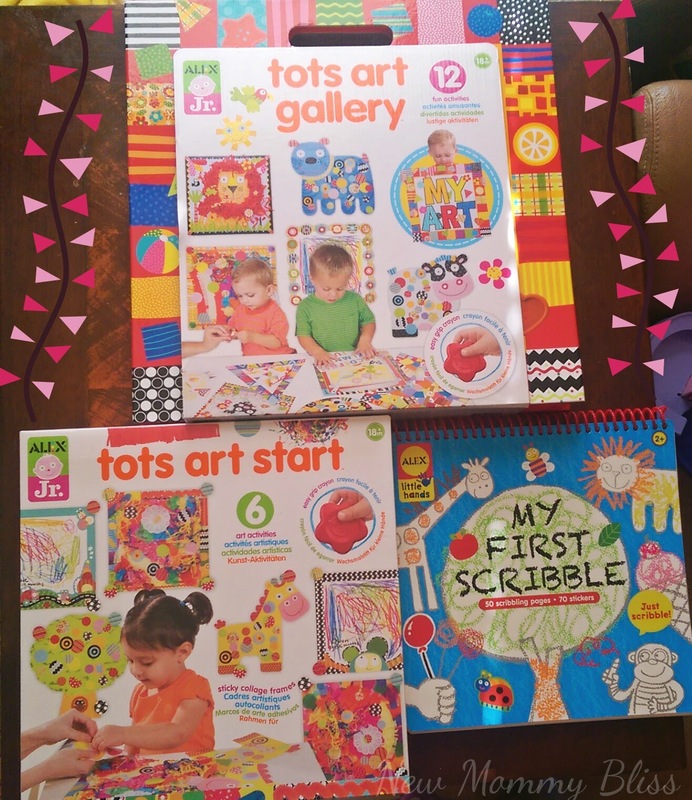 This kit is similar to the Tots Art Start, but it brings 12 fun activities in a super cute cardboard portfolio. It included more fun sticker activities on Animal shaped pages, as well as sticky collage frames and scribble pages. The sheep page you see below is actually one of the sticky pages. It comes with 4 sections of paper over each sticky spot for your toddler to do one section at a time. We love the sticky collage frames and I especially love the different textures that are included for their little masterpieces such as googly eyes, textured shapes, buttons, shredded tissue paper, and more. The best part is that you can put all the completed and non-completed art work back into the sturdy portfolio as well as the materials for next time. We have so much fun being hands-on with art. 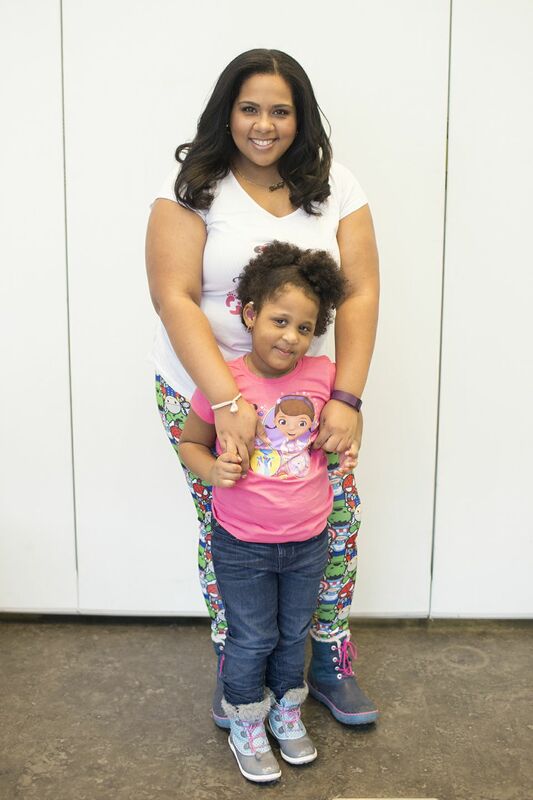 What activities do you do with your Toddlers? These are all so much fun! Thanks for sharing! I remembered how much my boys scribbled when they were young as your girl. Now they draw so good and like illustrate their examples when we are having a conversation. What a fun way to teach creativity! 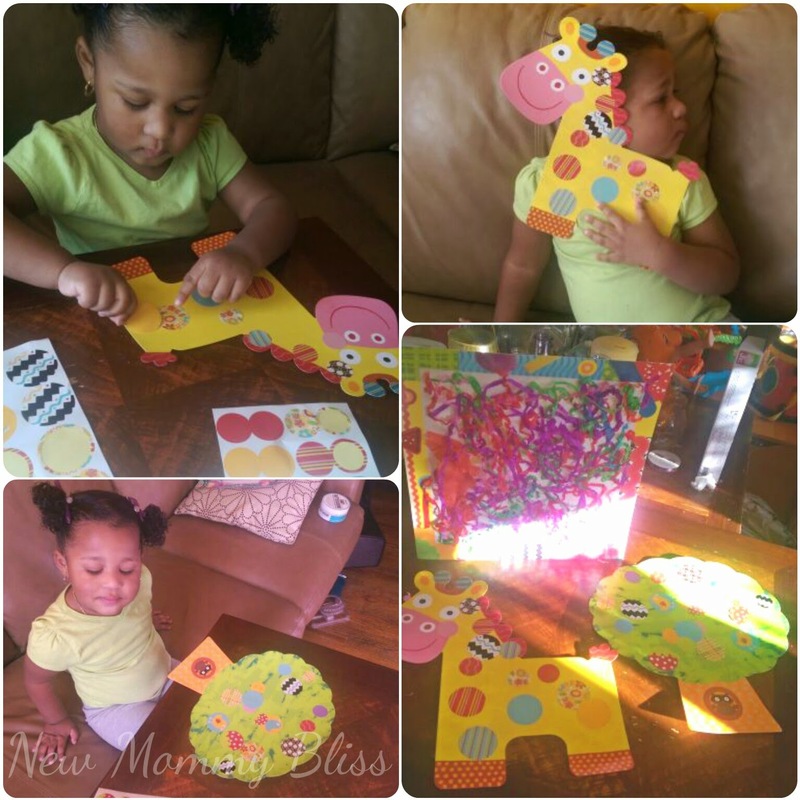 Very cute activity books! My toddler would love these. Love hands on activity with my tots too! We read tons, play games, go for nature walks and do lots with books! This looks like so much fun! My boy loves hands on activities! This looks fun! My six year old would love this. My three year old would put the stickers all over his face. Those are wonderful. My little ones would love these. I think my favorite is the art gallery. The materials, colors and textures are so much fun! These are all lovely art projects! We have purchased Alex products and very impressed with their quality. love this! So much better than sitting in front of the tv! Stickers are always so much fun. Our kids love them too.